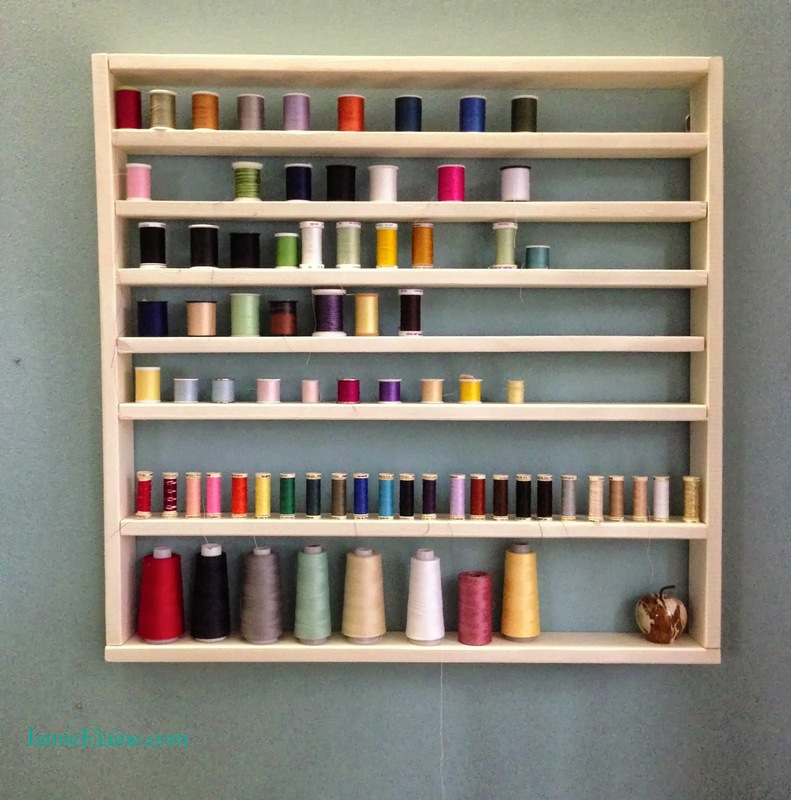 When I redid my sewing studio, I knew I wanted to design a bigger, better place to store and display my thread. I wasn't quite sure how I would go about it, until I saw this pile of wood for sale at a thrift store for a couple of dollars. I think it was from Ikea, made to be used as some sort of weird wooden window covering. I realized I didn't really know how many I wanted to use yet. 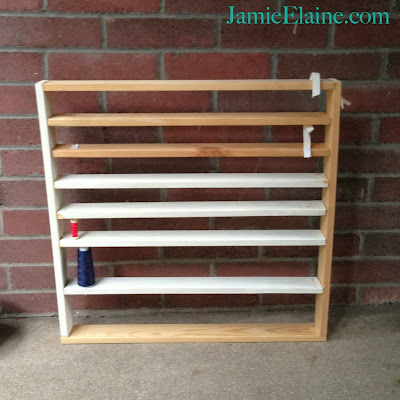 I took one long piece of the wood, which would be used as one of the side 'walls', and laid out the shelves next to it. 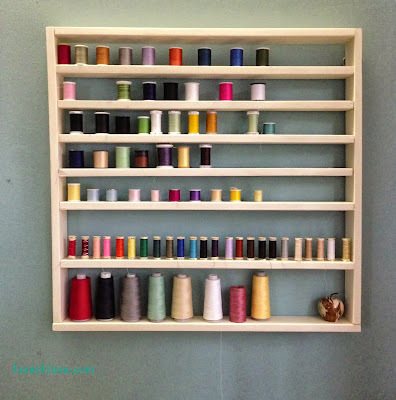 I left about 2 1/2 inch spaces between the shelves, perfect for most spools of thread. Using a drill to make a starter holes, or pilot holes for the screws, I went straight into the side 'wall', where it would hit the end of the shelf. I also used Titebond wood glue to make sure the pieces didn't move at all. Next I put a long wood screw into the pilot hole, and let the glue dry for a few minutes. I continued this all the way down, until I felt like it was the right size for my wall. Then I did the same thing down the second size, making sure to measure each space between the shelves so they would all be even and level. 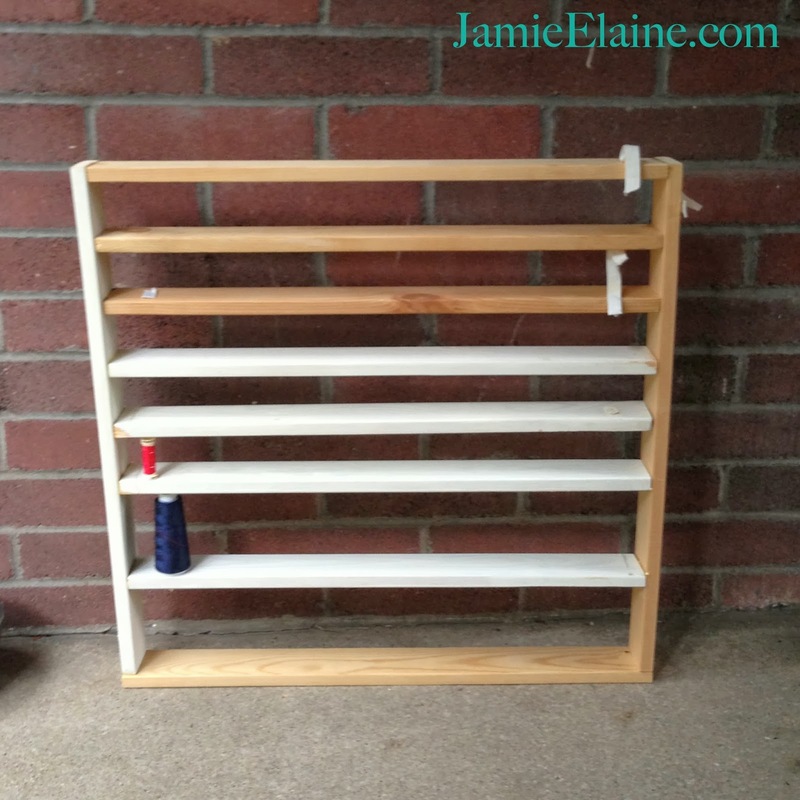 I also decided to made the two bottom shelves much wider to make space for large spools of thread. These two shelves each have 5 inches of thread space. strong enough to hold the weight of all of this wood hanging on the wall. And that was it, pretty simple and straightforward!